For yet another Spanish Märklinist. 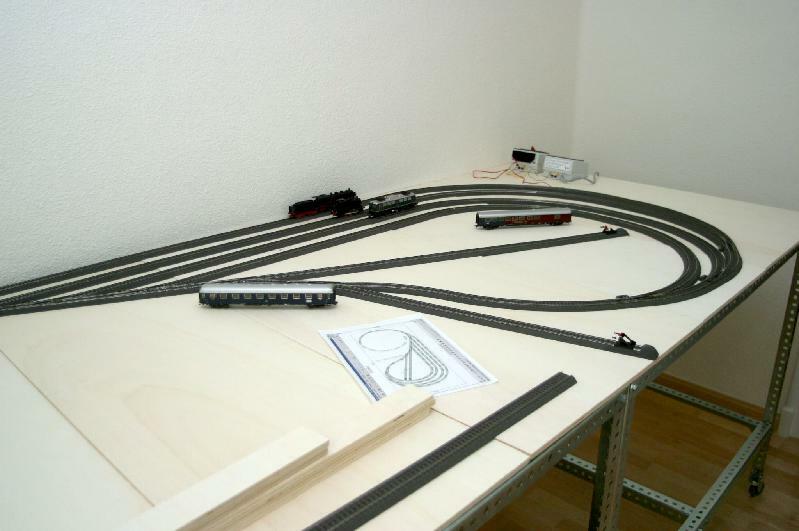 Although with a rather constricted space available, it is here shown how to cram a lot of tracks into a small area, without making it look over-saturated. 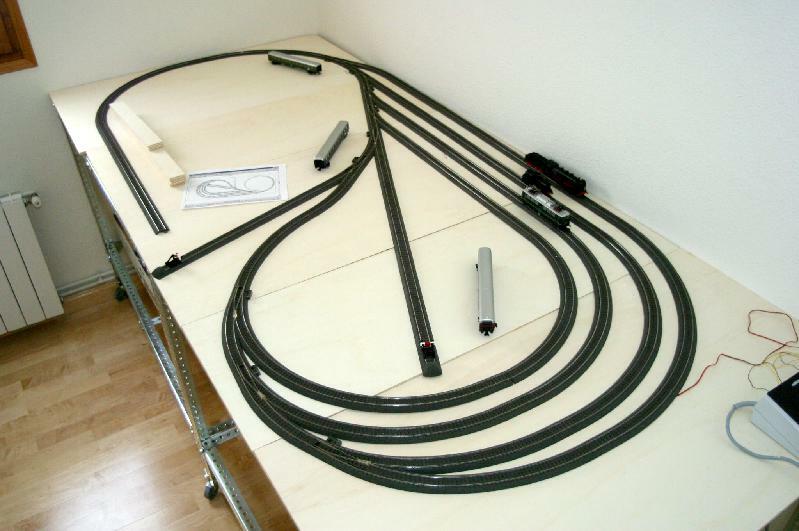 To do that, the tracks begin at 80cm from the ground, and raises up to 115cm height, using a giant helix as a connecting backbone. 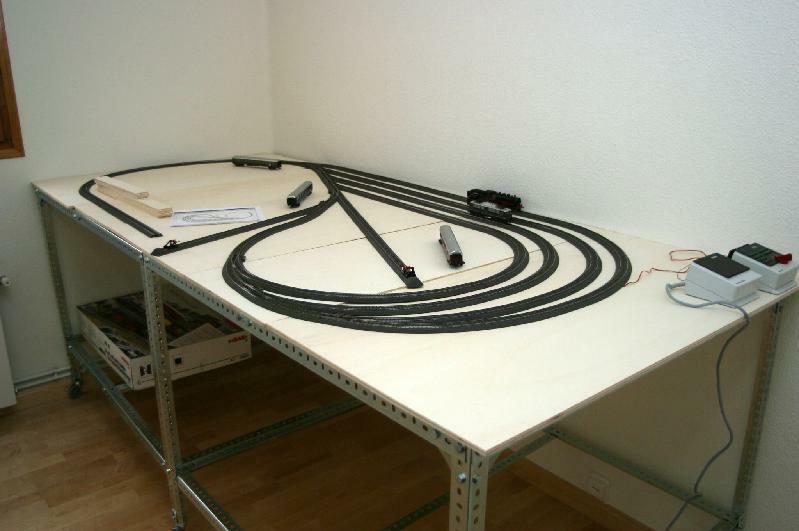 The shaddow-station and the oval in the middle will handle trains of up to 2 meters length, but the inclination of the final part of the helix, up to the main station, is for shorter trains. The return-loop within the oval turns the trains down to the shaddow-station again. This way you can enjoy longer trains, without the restriction of having them to arrive at the smaller rural station. Although the terminus station is not among my favorite themes, it here allows for a longer yard, as you dont need to make the curve and trackwork in both ends of the station. The oval with the return-loop makes up for all the work the operator would otherwise have, keeping the trains running with only a terminus station. 28/3-2004: Photos from the actual construction added to the page. Middle level with paradestrecke and return-loop. Shaddow-station with 2½ round connecting helix. 3D to get a better idea of the layout. Although the layout here is shown turned 180 degrees, this has now been changed. I think that the stub-end tracks have also been changed to be more in line with the original plan. Lower level with shaddow-station and metal frame.